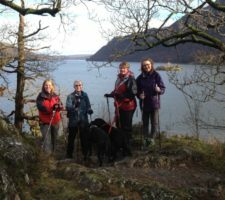 This iconic 22 mile route leads you around the Lake Shores of Ullswater over 3 days, giving views into the mountains as far as Blencathra & the Helvellyn range & up towards the High Street ridgeline as you summit Gowbarrow. · 2 Lunch boxes – Nicky Sproson specials – no rubbish, and far too healthy lunches! 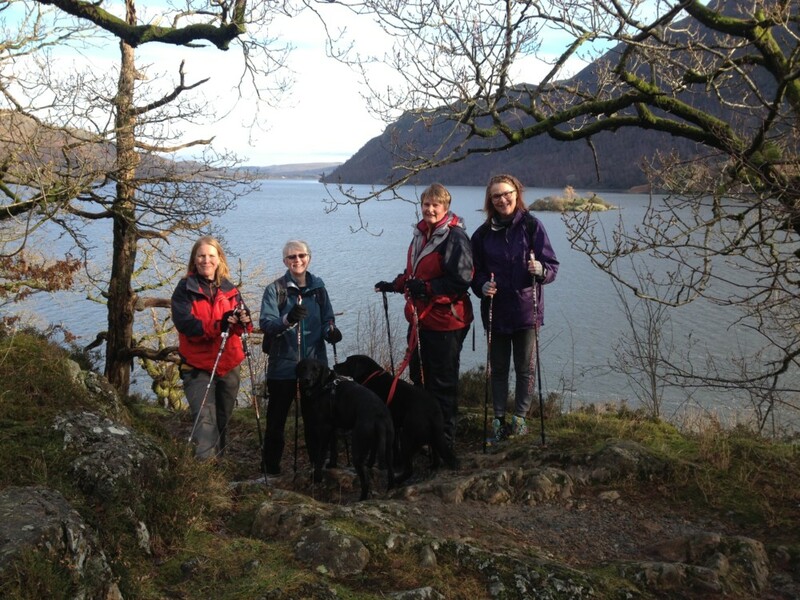 · 3 days of guided walking around the route by Nic’s Nordic Walks’ team of experienced walk leaders, Nic is an qualified Mountain Leader, with lots of knowledge of the surrounding fells, living in Glenridding, all of the team give guidance over the typical Lakeland terrain, which can be slightly tricky in parts. A further night’s accommodation, at the end of the hols, could be arranged at my cheaper rates upon request.